For more than a month now, a partial government shutdown is still in effect. What is the impact of this shutdown on immigration related programs? With 800,000 cases pending before immigration courts nationwide, the partial shutdown only worsens the backlog. At the moment, the immigration courts under the Department of Justice’s Executive Office on Immigration Review (EOIR) are not hearing cases of non-detained individuals and their hearing if scheduled during the shutdown will be reset for a later date. Individuals who are in detention will proceed with their scheduled hearings. Most family and employment based petitions, applications for naturalization, adjustments of status and other applications are accepted by the U.S. Citizenship and Immigration Services (USCIS). Unlike other federal agencies, USCIS is a fee-funded agency and is open for business despite the federal budget issues. It will remain open and individuals seeking immigration benefits must attend interviews and appointments as scheduled. 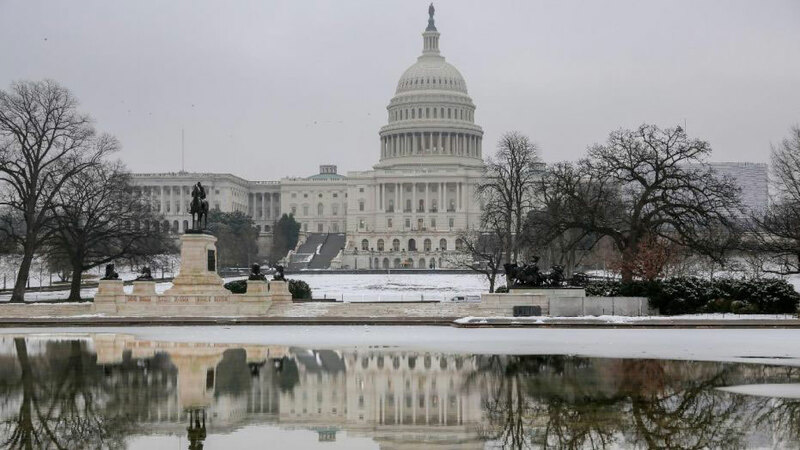 The only programs that are suspended during the shutdown are the following; (1) EB5 Immigrant Investor Regional Center Program; (2) E-Verify; (3) Conrad 30 Waiver PRogram for J1 medical doctors and the (4) Non-minister religious workers petitions. Those with approved petitions and individuals whose visas are available for processing are not affected by the shutdown. The Department of State issued an announcement on December 22, 2018 stating that all visa services in the United States and at U.S. Embassies/Consulates overseas will continue during the partial shutdown. Visa operations are fee-funded so the U.S. Embassies will continue functioning despite the shutdown. Those applying for visas and who have scheduled interviews must attend their scheduled appointments for visa issuance. For travelers whose passports are expiring or first time applicants, the Department of State announced that their passport offices are open to receive applications. The National Passport Information Center still accepts telephone calls and inquiries from the public. The ICE remain operational during a government shutdown. According to ICE Spokeswoman Gillian Christensen, ICE is deemed a law enforcement necessary for the safety of life and protection of property. This mean that ICE may still enforce a removal orders or may conduct raids as it deem necessary. There are 15,254 ICE employees who are working without pay because of the shutdown. G. CBP and those Entering the U.S.
CBP agency is considered “essential” and so ports of entry will be open. CBP officers will remain on duty but will not be paid during the shutdown. The information above is obtained from the different respective federal agencies’ public notices regarding the effect of the current shutdown. With the bi-partisan politics and opposing views on immigration, the shutdown may continue for a while. Recent studies show that majority of Americans have always been opposed to a border wall. But if the government is reopened, hopefully it will happen without a border wall funding since there is no imminent threat to national security to substantiate the significant cost being requested by President Trump. Atty. Lourdes Santos Tancinco, Esq. is a San Francisco based immigration attorney and an immigrant rights advocate. She may be reached at 1 888 930 0808, law@tancinco.com or facebook.com/tancincolaw, or through her website www.tancinco.com. More articles from Atty. Lourdes Tancinco, Esq.